Okay- glad I got that out of my system. Now for the serious stuff. Turmeric. You have probably heard mutterings of this little root all over the streets and inter webs. We’ve certainly been singing of its benefits around the shop! 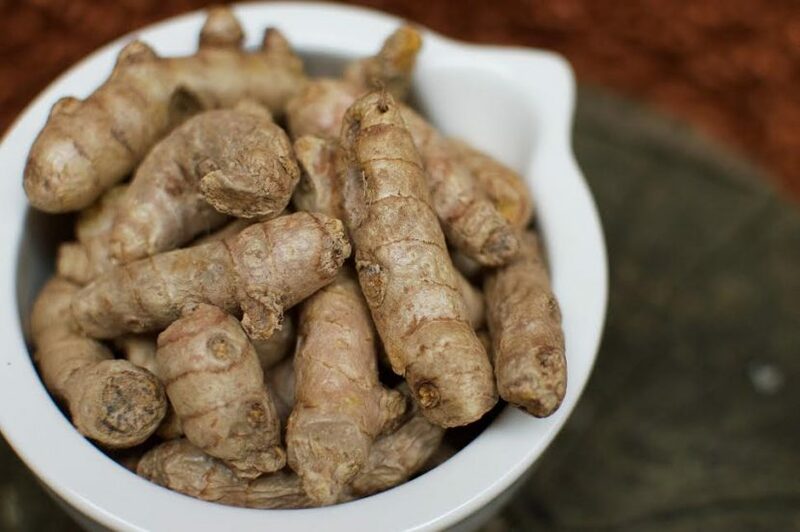 In order for the body to absorb curcumin and reap the benefits of this brilliant root, it is essential to consume turmeric with black pepper. Additionally, turmeric is fat-soluble, so ensure that you eat it with a quality fat (ex. coconut oil). 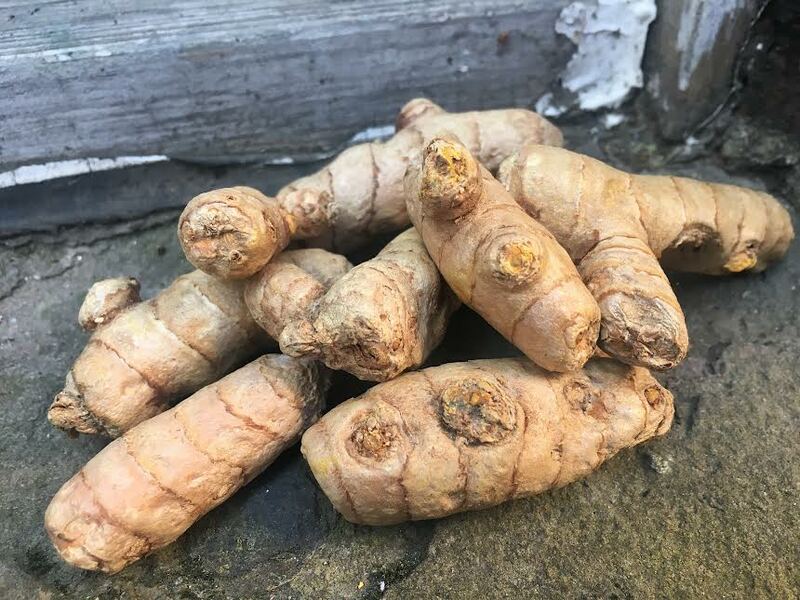 Last week we received a delivery of raw, organic turmeric, and a few customers expressed interest in learning about new ways to use turmeric in its raw form. Well, we love our customers- so here we go with a few of our staff favourites! First, make your turmeric paste. I’ve made turmeric paste with organic turmeric powder and with fresh turmeric, and I’ll admit that the process with powder is much easier and less of a mess. Be sure to use a high-quality, organic powder, though- we have some in the shops. If using powder, go ahead and skip to step (2) of the turmeric paste process. (1) Ensure that your turmeric is very fine. Consider chopping it up and throwing it into a blender/bullet to really get it into bits. You may need to add a splash of water and do some scraping in the process. (2) Mix the turmeric and 1/2 cup of water in a small pan over low heat. Stir until a paste is formed, then go ahead and add your black pepper. Feel free to toss it back into your blender to acquire a truly smooth paste (if working with the fresh turmeric root). Once cooled, store in a little glass jar- it should keep in your refrigerator for about two weeks! You can add turmeric paste to your morning smoothie, too! For your golden milk, take 1/2 a teaspoon of your turmeric paste and mix it in a saucepan along with your milk, cinnamon, ginger, and coconut oil. Sometimes I leave the ginger out of the mix- depending on my mood… and if I have any in my kitchen. Stir the entire situation up really well. Pour that warm goodness into your favourite mug and live the dream. A pre-bedtime golden milk is ev-er-y-thing! Preheat your oven to 180°C. Scoop seeds out of butternut squash. (Set seeds aside for roasting with cumin, black pepper, and dried turmeric, if you’d like!) Place butternut halves on baking sheet, flesh-side up. Peel and slice fresh turmeric (1 inch per half) and ginger, and lay slices on the flesh of each squash. Add a tablespoon of water into the hole where the seeds once were. Feel free to add sage leaves here as well! Wrap the squash halves with foil to keep turmeric/ginger slices in place, and to trap steam from the water. Bake in the oven for about 40 minutes (or until squash is nice and soft). After about 40 minutes, remove squash halves from oven, and spoon out the flesh. Blend up that deliciousness with the turmeric bits, salt, pepper, and a tin of coconut milk! Ta-dahhhhh… an exquisitely satisfying meal! Heat butter/oil in large frying pan. Add onions and mushrooms, and sauté for a few minutes until slightly softened. Add garlic, cayenne, turmeric, and black pepper, and continue to sauté for a minute or so. Add eggs and cook until bottom is set. Transfer under a grill to ensure that the top is set. Serve with fresh herbs sprinkled up top! 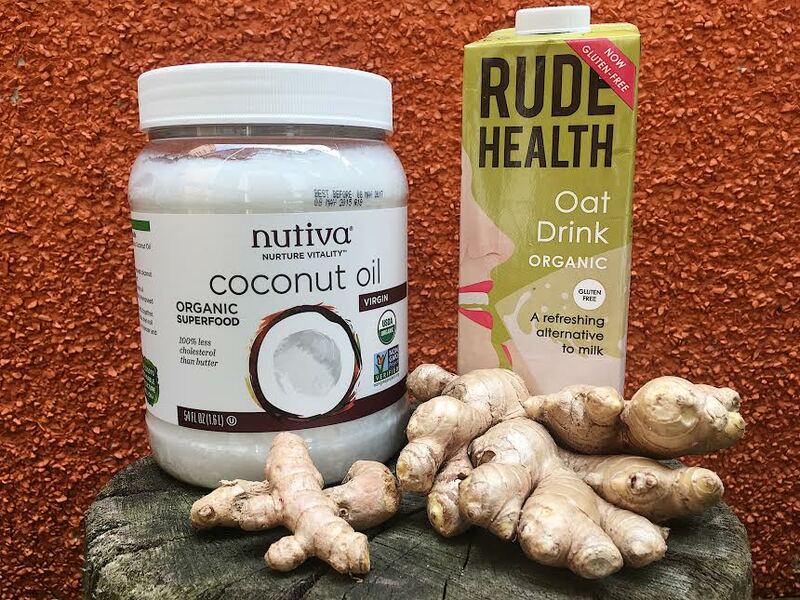 Such a powerfully healthy breakfast- especially if you’re feeling a cold creeping up on you! Toss all ingredients into a large pot and allow to cook for about an hour over medium heat, with the lid. Stir occassionally. Serve with rice or tortillas and guacamole at your next FIESTA! 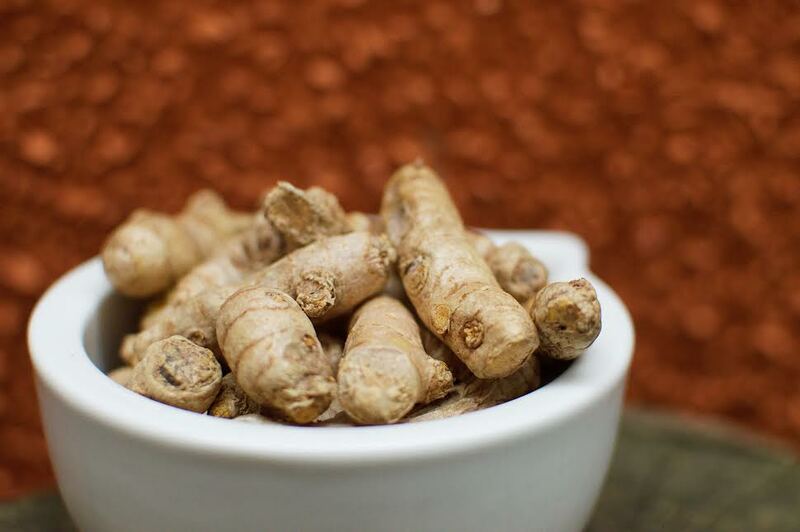 We have plenty of fresh turmeric in our shops right now! Stop in and pick up a handful!